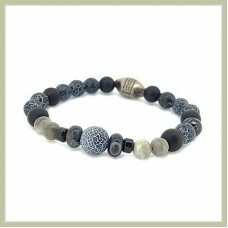 PYRITE (Metallic centre & side beads) - WEALTH & PROTECTION Pyrite is known as a stone ..
FLOURITE (green + violet) - HEALTH & PROTECTION Excellent for advancement of mind. 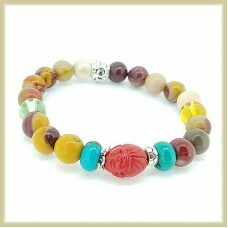 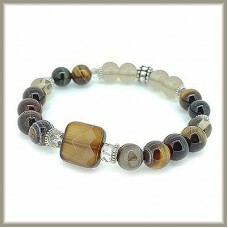 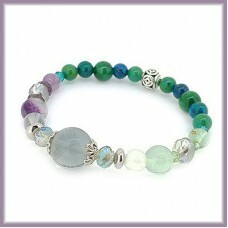 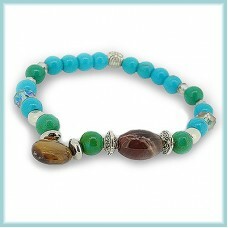 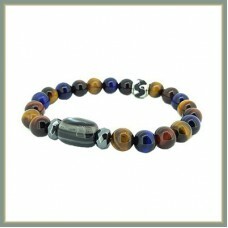 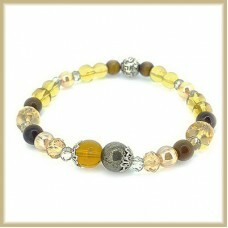 Great st..
AGATE (Main bead) - STRENGTH & COURAGE Heals Emotional Tension & keep calm. 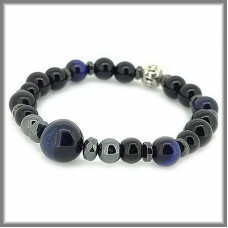 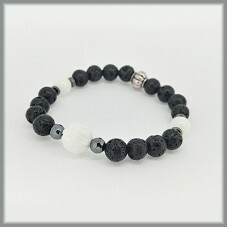 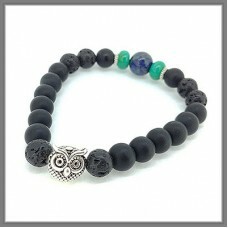 Strengthen ..
LAVASTONE (black) - GROUNDING & FOCUS This stone has the nurturing power of Mother Earth. 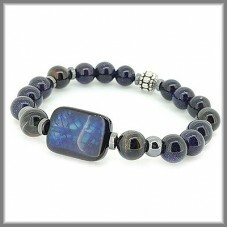 I..
BLUE GALAXY SANDSTONE - CONFIDENCE & SUCCESS Enhance power of leadership & victory. 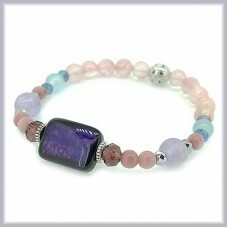 Blu..
RHODONITE (pink) - BALANCE & IMPROVE RELATIONSHIP Rhodonite is an excellent balancer of emo..